There’s no shortage weight loss diets that promise a miracle cure for all our weight problems. We all know the important role that water plays in keeping our body healthy but being a key ingredient in a weight loss program that remains to be seen. Water is basically free and is much cheaper compared to other diet programs. However, the verdict is still out there if it can help in our weight loss efforts. But there’s no question of its importance in terms of keeping our body hydrated during exercises. Two thirds of the body is composed of water. It plays a major role in maintaining our body’s normal processes. Anywhere from eliminating waste products to keeping our regulating our body temperature through sweat. It keeps our joints lubricated to avoid injuries during our workouts. In terms of weight loss efforts, water can function as a natural appetite suppressant. With water taking up the same amount of space as food, drinking water could leave you feeling full in no time. It also aids in metabolism, speeding up the process and helping you take full advantage of eating a healthy diet. With water making up a major part of our body and its importance in normal body functioning not taking the recommended amount of water can have a negative effect on health. A two percent drop on your hydration levels can leave us dizzy or lose concentration. This can be dangerous especially when you’re lifting weights as a single second of lost concentration can result to a serious injury. Hydration is important when performing physical activities. Water is not only lost through sweat but also through breathing. Low levels of water can make performing simple exercise difficult or get you easily tired. Lack of water can also be interpreted by the body as hunger. This can give you an irresistible urge to eat hence more calories you might not actually need. Some studies have even shown a relationship between low water intake and obesity. Those who find snacking in between meals irresistible could replace their eating habits by drinking water. A study found that drinking water was effective in satiating their hunger. This helped people reduce their caloric intake from unscheduled snacks. Water does not only replace lost fluids during workouts but can also increase our energy levels. Water play an important role in metabolism. It makes it more efficient helping the body create more fuel. Improved metabolism decreases downtime and fatigue giving us the ability to spend more time in the gym. Water in its purest form is the safest liquid to consume for your weight loss efforts. Today’s sugary drinks are rich in empty calories that don’t do anything in fueling up the body. It can even interfere with how we absorb water. Caffeinated drinks are natural diuretics or those that promote fluid loss. So you end up losing more fluids instead of hiking your fluid levels. Studies has yet to prove the effectiveness of water in helping us shed those extra pounds or does it have a direct effect on weight loss. We easily lose two cups of water daily and normal perspiration causes us to lose another two cups of water. But there is no debate on the importance of water in our body’s major processes. It is estimated that 6 cups of water is used for the intestines and kidneys. And this does not include water lost during workouts. Liposuction is a medical procedure designed to remove stubborn fat deposits. And still remains to be the most effective method of removing large volumes of fat in a single treatment. Liposuction has become so common that reports of liposuction treatments going horribly wrong are rare. But this does not entirely eliminate the possibility of producing risks and medical complications. Liposuction is commonly performed in fat problem areas such as the abdomen, thighs, legs and arms. And the dangers posed by liposuction remains the same for each area. Complications such as hemorrhage and infection are just some of the possible complications of liposuction. A serious complication of liposuction is the development of fat embolisms. Fat cells are broken down during liposuction and an open wound could be an unwilling entry point of free fat cells. Fat could travel through the blood stream reaching the brains and lungs. Serious damage could result from this fat cells reaching small blood vessels in the brain. Blood flow is blocked depriving brain cells of oxygen. Although cases of fat embolism is rare, this is a life threatening condition. Great care is taken to ensure that the area for thigh liposuction is kept sterile or free from infection. 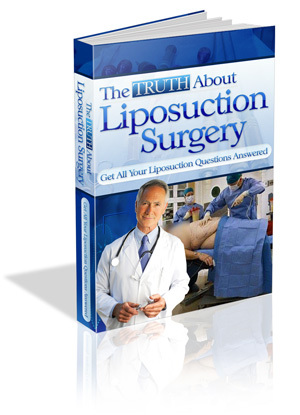 A surgical incision is required during liposuction. Open wounds are created making it easier for infection to spread internally. Our body’s natural defense against infection, the skin is compromised. But this is not only limited during liposuction. Infection could also occur after liposuction. This happens without proper wound care. Bandages should always be changed to prevent infection from setting in. Refrain from putting too much stress or pressure on the wounds to prevent them from opening. Blood clots are part of our body’s natural defense mechanism against wounds. Its aim is to stop bleeding by blocking further blood flow from the wound. Just like fat embolism, blood clots could travel to the lungs through circulation. It is a life threatening condition and should be considered serious. Studies show that large volume liposuction has a 1.5 percent chance of developing a clot. One out of ten cases of pulmonary embolism is fatal within the first hour of the first signs of its symptoms. Patients are at greatest risk for pulmonary embolism from three to seven days after surgery. Surgery requires some amount of anesthesia to desensitize the patient during the procedure. General anesthesia is required for major surgeries that require a large area to be desensitized. Because it affects a larger area, complications are magnified. Symptoms of toxicity from anesthesia include drowsiness, convulsion, slurred speech, muscle twitching and numbness to name a few. Uncontrolled bleeding due to improper wound closure. Patients who have undergone surgery are discouraged from performing strenuous or weight bearing activities. The real danger are wounds that are not visible to the naked eye. Bleeding wound from an open wound could easily be identified but those located deep within the skin is dangerous. Skin discoloration, swelling and tenderness in the general area of liposuction could be an indication of internal bleeding. Severe blood loss is life threatening and should be consulted with your surgeon immediately. High cholesterol levels (above 200 mg/dL) is one of the major health problems experienced by adults today. With high cholesterol levels, one experiences high risks of heart attack and it is something that people would not want to experience especially that many wishes to live a long, fruitful life. People who eat more of fatty and unhealthy food are often victims of high cholesterol levels. Well, we cannot blame them though, a quarter pounder and a bag of fries are quite hard to resist. Understanding how cholesterol works in our body is important to manage it right. Below are facts that you might want to add in your bank of knowledge. Cholesterol is a waxy (lipid fat) substance that is produced by the liver and is available in certain foods. It is important in our body’s daily function. Every cell in our body has cholesterol in its outer layer. It plays a role in the production of Vitamin D, some hormones, building of cell walls, and creates bile for fat digestion. The liver produces 1,000 milligrams of cholesterol a day, an enough amount to keep you going even without external intake from food. It is not easy to get rid of it because most food has it. While cholesterol is beneficial to the body in the right amount, there is such a thing called LDL cholesterol. It is abbreviated from Low Density Lipoproteins that in laymen’s’ term is “bad” cholesterol. It causes plaque build-up in the arterial walls that brings about heart diseases like atherosclerosis. Reducing the levels of bad cholesterol and increasing the “good” cholesterol (High density lipoproteins (HDL)) is the primary solution to keep your heart safe. By increasing the amount of HDL, LDL is carried back to the liver where it is processed to be flushed out of your system. The first three factors that affect cholesterol levels can be determined by your kind of lifestyle. While age and heredity cannot be avoided, the way you live creates a big impact to your health. Depending on your health condition, ask your physician for professional advice on how to manage your cholesterol levels. Get your right amount of Omega-3. Natural sources of Omega 3 include cold water fishes and calamari oil. One of the most potent food in reducing bad cholesterol levels is Omega-3. High levels of Omega-3 in your diet can reduce the risk of developing blood clots and can lower blood pressure. Mackerel, calamari, salmon, herring, sardines and a lot of food sources are rich in Omega-3. If you can’t get your amount through diet, Omega-3 supplement can help. Nuts. Almonds, walnuts, hazelnuts, pecans, and other nuts can lower your numbers. They are rich in polyunsaturated fatty acids that also keep the blood vessels healthy. However, be wary on this, the nuts should not be salted nor high with sugar content. Nuts can be very high in calories, so limiting your intake into a handful can bring the most of its benefits. High fiber food. Soluble fiber can lower the absorption of lower cholesterol into your bloodstream. It is easy to find high-fiber food. With 1 ½ cup of oatmeal a day mixed with fruits, you are not only feeding your body with delicious food, you are also giving your body an input for good health. Our health is all that we got. Keeping our cholesterol levels low is helping our body function optimally for our own benefit and for the people who matters to us the most. Eating a healthy diet and living an active lifestyle, these are certainly the healthiest and most natural methods of losing stubborn fat deposits. In fact the opposite of which, living a sedentary lifestyle and over indulging in unhealthy foods are the common culprits for society’s overweight problems. The problem with eating a healthy diet and living an active lifestyle is that it takes time for people to achieve their desired results. These often takes months and people simply can’t maintain their resolve because results are too long in coming. Body wraps on the other hand could enhance your weight loss efforts. It is a gentler and more natural alternative to other weight loss treatments such as liposuction for example. This liposuction alternative enhances your weight loss efforts without the need for anesthesia or any surgical procedures. Body wraps could be traced back to the Egyptians. Remember those mummies wrapped in cloth preserved for centuries. But the use for body wraps were not only meant for the dead but it too had practical applications for the Egyptians. Although reserved mostly for the Egyptian royals or elites, body wraps were used as beauty enhancement treatments. The theory behind body wraps for weight loss is simple. The heat generated by the body wrap melts or facilitates fat loss. But this goes further than merely wrapping up the body and sweating out the fats. The effectiveness of body wrap treatments are also due to the ointments used. These oils used in body wraps enhance the weight loss procedure by going deep into the skin and preparing those fats for burning. Once the natural heat produced by body wraps goes into effect, fats are more efficiently burned producing better results. Aside from helping burn those stubborn fats, body wraps could also be used for other beneficial effects. Stress reliever – body wraps could be used as a treatment for reducing stress. Body wraps have a natural soothing effect and coupled with aromas it could be used as a natural stress reliever. Skin tightening – sudden weight loss could lead to sagging skin. When large fat deposits are removed from certain areas of the body, extra skin is left leading to the appearance of sagging skin or wrinkles. Body wraps with skin care treatments restore the skin’s natural elasticity. It brings new skin leading to a younger, healthier look. Better skin and muscle tone – when skin is more tightly attached to the body visible results include better muscle tone. Body wraps are not designed for major fat loss. It helps your weight down a few inches at a time. This is why it is recommended for people who are near their ideal weight or having a difficult time shaping their body. With body wrap treatments, the final remnants of fat are reduced and muscle tone becomes more pronounced. Body wraps are more than weight loss treatments. It is very flexible and could produce numerous benefits in every single treatment. Aside from helping you trim down stubborn fats, it could also be used as a natural stress reliever or for skin tightening. Body wraps give people searching for a liposuction alternative a safer and more natural treatment for weight concerns. Results are gradual but with continued treatment it could produce the body you’ve been searching for.